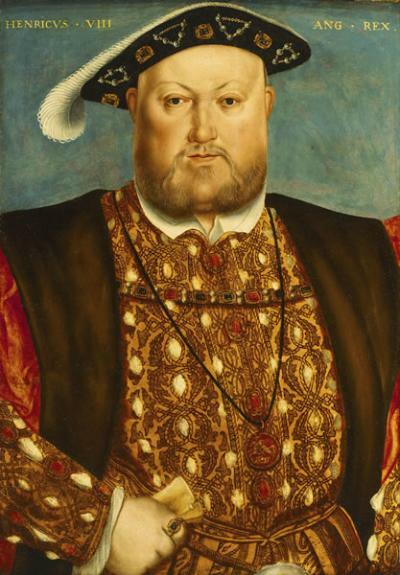 Anglicans have and should be reasonably embarrassed that one of the main protagonists of the English Reformation was the scoundrel, Henry VIII, King of England. Nevertheless, one should always remember that what you and I intend for evil God can and often does intend for good. Below is an excerpt from Diarmaid MacCulloch’s magisterial biography of Thomas Cranmer. In the excerpt below is a touching account of the last act of the King of England, which was a public profession of faith in Christ alone. Those familiar with Henry’s religious struggles are well aware that Henry rejected “sola fide” but held steadfast that faith must be joined with the “works” of the church, i.e. sacraments, penance, service etc. Of particular interest would be one last “work” to accomplish on one’s deathbed, namely the last rites. Henry, ministered to by his friend the Archbishop of Canterbury Thomas Cranmer, deferred last rites and contented himself with a profession of faith in the finished work of Christ. Like the the thief on the cross, even the worst of men may find hope and grace in the mercies of Jesus. The first definite trace of him (Cranmer) back in London is at the reopening of Parliament on 14 January 1547, a meeting whose main purpose was to seal the fate of the Howards , and while dutifully voting through their attainder with his fellow peers, he also remained in regular attendance at the Council. This meant that he was readily on hand to do his last duty for his old master as the King lay dying on 28 January. It was Denny who persuaded Henry that he must face death, and the King asked specifically for the Archbishop to be with him. By the time that Cranmer reached him in the small hours of that morning, Henry was already incapable of speech, but reached out to his old friend. Then the archbishop, exhorting him to put his trust in Christ, and to call upon his mercy, desired him, though he could not speak, yet to give some token with his eyes or with his hand, that he trusted in the Lord. Then the King holding him in his hand, did wring his hand as hard as he could. Quietly playing out his calling as royal chaplain, Cranmer had won a final victory over years of argument with the King on justification. No last rites for Henry, no extreme unction: just an evangelical statement of faith in a grip of the hand. Thus ended the most long-lasting relationship of love that either man had ever known.